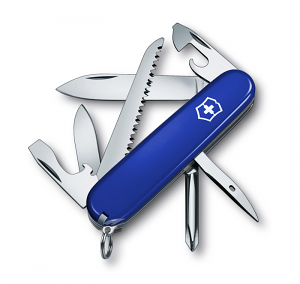 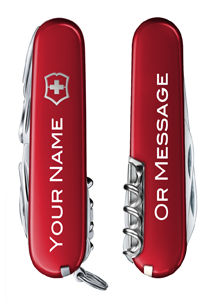 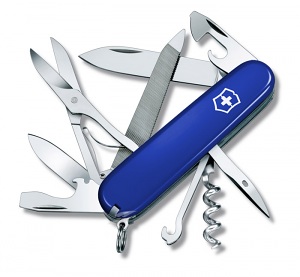 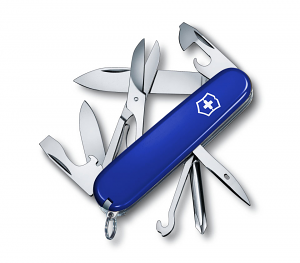 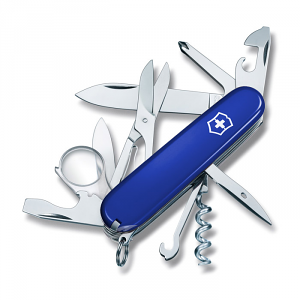 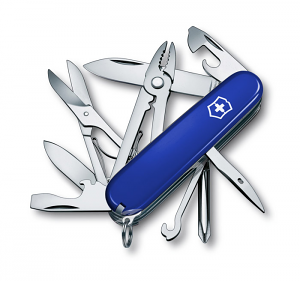 Personalise your Swiss Army Knife with your name, a friends name or even a company name! Whether it's for a birthday or retirement, a wedding or graduation, Fathers Day or Christmas Day, a personalised Victorinox Swiss Army Knife makes a fantastic gift sure to delight your loved one! 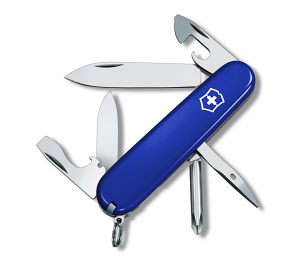 Type your name and click "Preview Now"
Who'd leave home without the Victorinox Hiker? 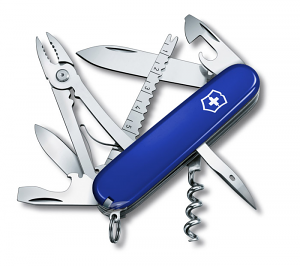 With a decent pair of boots and the Hiker Swiss Army Knife you're ready for whatever the trail throws at you. This is the multi-bladed tool that cuts the Pennine Way down to size or turns an afternoon ramble into a mini adventure. 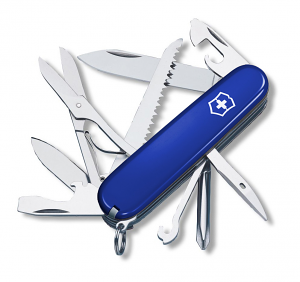 The Hiker is for outdoor life on the go. 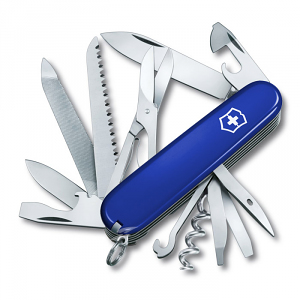 It opens bottles and tins, saws through timber and rope, and handles all the little repairs along the way – anything that needs screwing down (including a Phillips screwdriver), paring back, or sewing together. 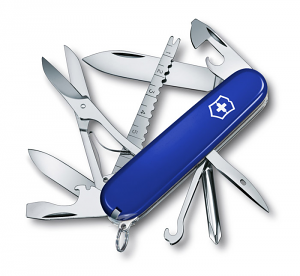 With the Ultra version, you can even write your own trail notes and pin them together. 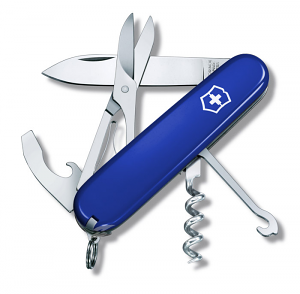 The Victorinox Hiker is a great size and weight for walkers. 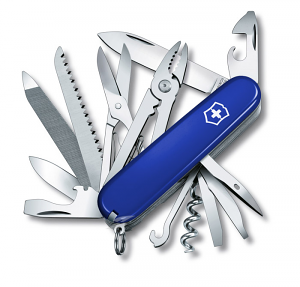 With 9 tools and 14 features, you get all the essentials with nothing superfluous to add to your load. 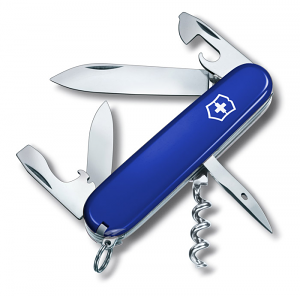 Slip it in your pocket and head for the hills. Personalisation is available on this knife.